There’s only a few days left of 2012’s Restaurant Week. 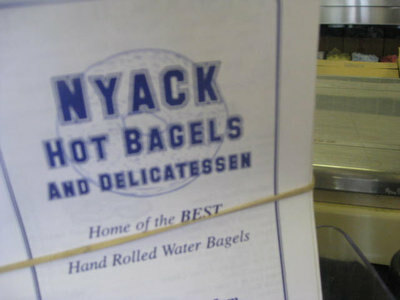 I hope everyone got a chance to visit as many restaurants as possible. 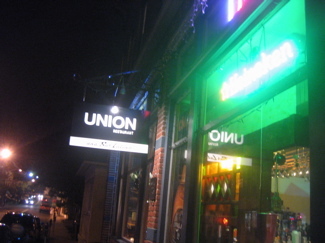 I’m guest blogger Michele Curran and Wednesday evening, myself and some friends headed to Piermont to check out Confetti. The waterfront in Piermont is always a welcome place to visit for dinner and I had wished it was one of those 80 degree days from last week so we could have dined outdoors. Sadly it was 30 degrees, so inside the dining room we went! We were seated immediately at a lovely window seat, and the dining room was fairly quiet. Our waiter came over promptly to take drink orders and we began perusing the options on the menu. We decided to each get something different, there were 4 of us, so we could all taste and so I could take lots of pictures. For appetizers or Antipasti as the Italian’s would say we ordered a variety of items. The Zuppa di Cozze, steamed mussels in a fresh tomato and basil broth were excellent! They were definitely the favorite appetizer at the table. 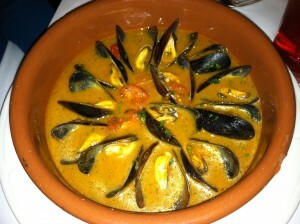 The flavor was excellent and the mussels tasted like they had been caught 5 minutes before they were served! 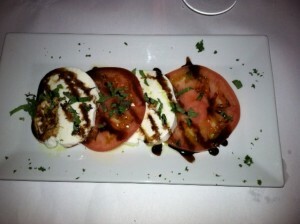 The Mozzarella e Pomodoro was fresh, homemade mozzarella cheese served with vine rip tomatoes and EVOO. 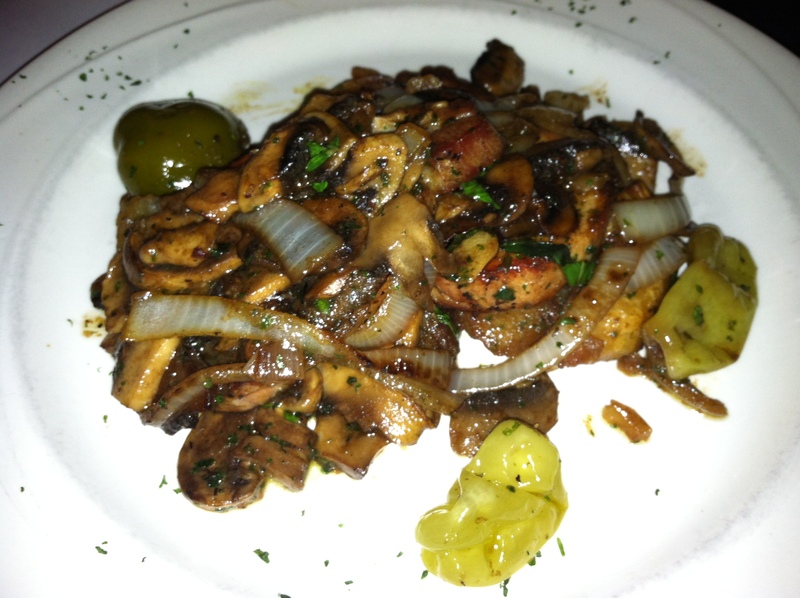 A traditional appetizer. 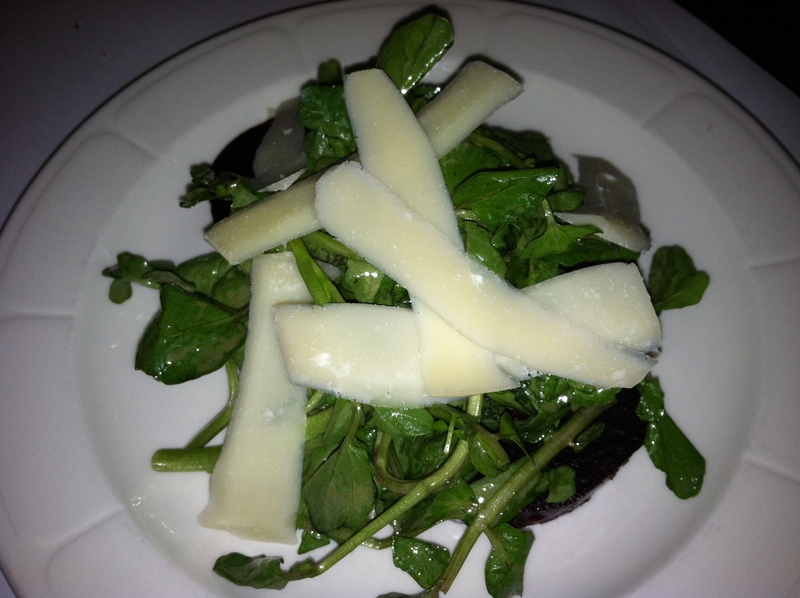 My mother had the Crescione, watercress over roasted beets with shaved parmigiano and candy almonds in a sherry vinaigrette. She opted for this salad without the almonds, tsk tsk. This was a great dish, the watercress was fresh, the parmigiano was excellent and the salad was perfectly dressed with vinaigrette. I opted for the Carciofi all a Giudea, fried baby artichoke with fennel and tomato served Roman style. 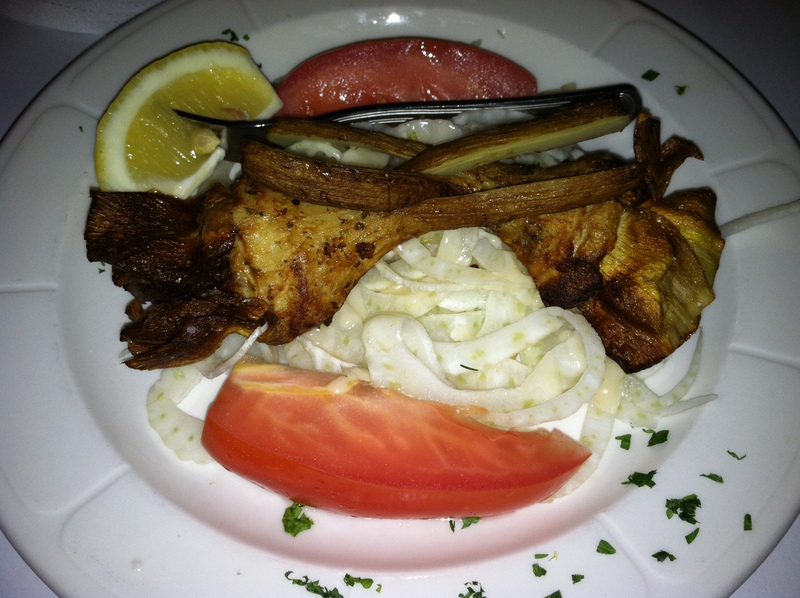 This caught my eye because it had artichoke and I will order anything that has artichokes! They were fried to perfection, just the way my grandmother made them! I loved the addition of the fennel, I find that fennel is underused or not enough people know how good it is! EAT FENNEL! After the appetizers were cleared, we had an appropriate rest before the entrees were delivered. 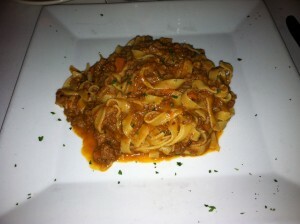 I chose the Tagliatelle con Ragu Di Agnello which is a flat pasta with lamb ragu. This was the favorite entree of the table. There was the prefect amount of sauce, the pasta was homemade, the lamb melted in your mouth, definitely an excellent dish. 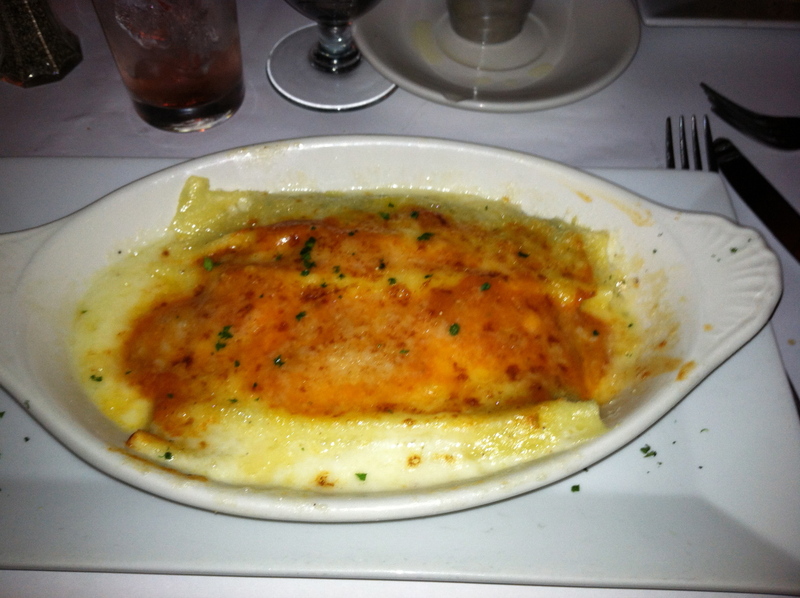 The Cannelloni, stuffed pasta with veal, ricotta, fresh spinach, and besciamella was generous in portion size and steaming hot when it came to the table. While not the favorite dish, definitely appetizing. Perhaps more sauce would have enriched the flavor. The Filone Di Maiale al Forno, roasted pork loin with peppers, cioppolini onions, garlic, and roasted potatoes was spicy hot! I do not care for extra spicy entrees, but my mother loved it! The pork was slightly well done but overall a good dish. 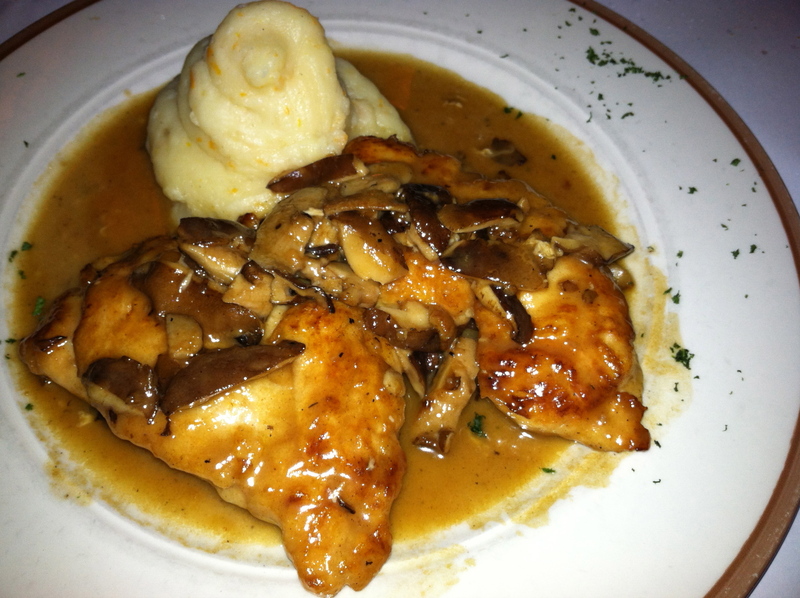 Across the table from me was the Involtini di Pollo, chicken stuffed with speck and fontina cheese and served with a shiitake mushroom sauce. This was probably the 2nd favorite entree as it had “velvety” mashed potatoes and just the right amount of sauce to cover the tasty chicken. The entrees were cleared and our waiter came over and asked if we wanted to wait a moment before ordering dessert. We took him up and the offer and relaxed a few minutes longer. There were 4 dessert to choose from and we ordered 1 of each. 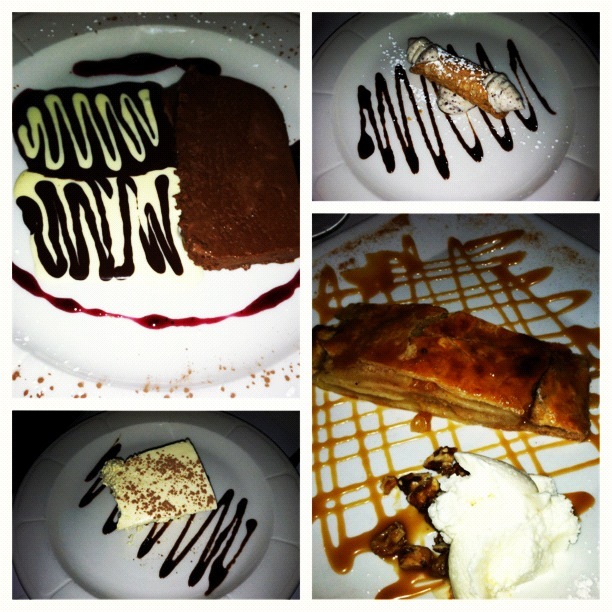 There was Tiramisu, Chocolate Semifreddo, Cannoli, and Apple Struddle. Each of us enjoyed our desserts and I can’t say there was one that was a stand out, they were all equally good. 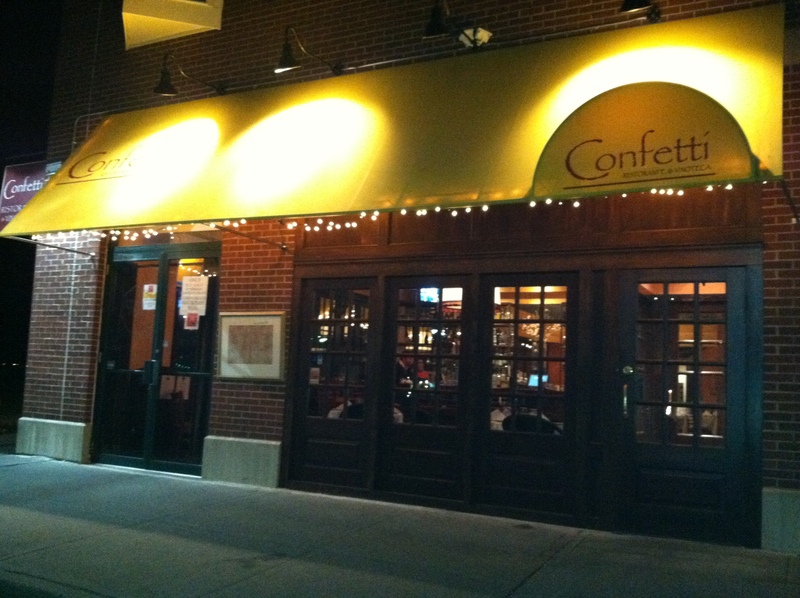 Confetti was a delightful experience, I had been there once before during lunch hours and had enjoyed it. 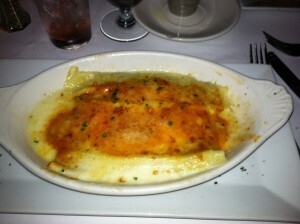 Our waiter was very attentive and friendly and the food overall was quite enjoyable! Previous ArticleLive Chat with Chef Anthony Goncalves of 42 in White Plains Here at Noon!